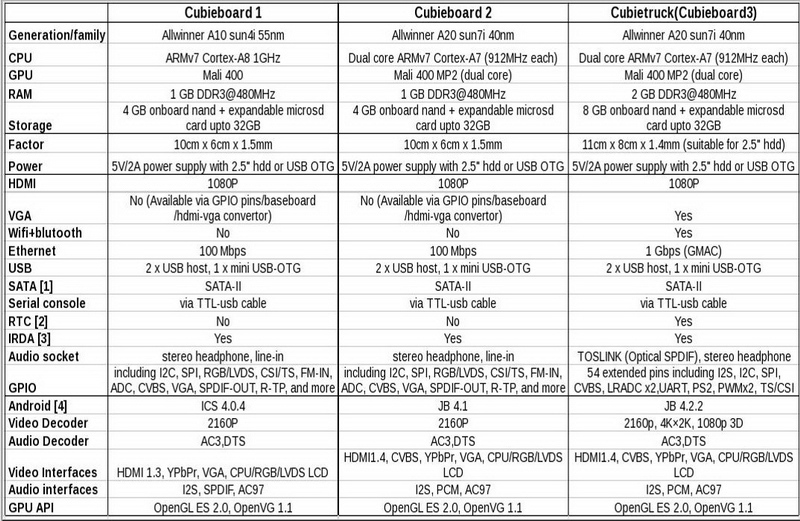 This is detailed difference table between Cubieboard, Cubieboard2 and new Cubietruck. For more details please visit cubieboard.org . “Cloud is everywhere !!!”. I am not talking about dark cloud or rainy cloud. I am talking about Cloud Technology. Now lets say I want my own cloud in my premises. Don’t worry now we have ownCloud. “ownCloud is a free and open-source web application for data synchronization, file sharing, and cloud storage.” … Wikipedia. One of my friend suggest me, that use of word "own cloud" is misnomer. Cloud stands for clustered storage and services that can be accessed together. Its not much of cloud if its on a single machine. My intention here to introduce you with Storage solution much like Dropbox. Where you can take backup of your files as well as you should able to retrieve files easily. We are going to learn how to install ownCloud on your system as Cloud Server and how to install client tools to access files from this Cloud Server. Make sure that you have working *AMP stack. i.e. Apache, MySQL, PHP. I prefer XAMPP stack, which works flawlessly for me for more than 8 years. Now Xampp & BitNami are working together. The Web Installer is the easiest way for novice users to install ownCloud on their desktop or web hosting space. It checks the dependencies, download the newest ownCloud from the official server, unpacks it with the right permissions and the right user account. Finally, you will be redirected to the ownCloud installer. 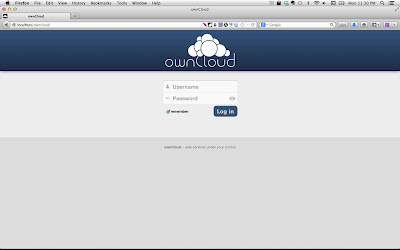 5) Login to your newly created ownCloud instance! The .tar archive is the classic way of installing ownCloud server. It provides the server and all immediate 3rd party PHP libraries. Install XAMPP stack on your Operating System. Execute following command in terminal if you are using Ubuntu/Debian Linux. To enable .htaccess files you need to ensure that AllowOverride is set to All in the Directory /var/www/ section of your virtual host file. This is usually in /etc/apache2/sites-enabled/000-default. You should also run a2enmod rewrite and a2enmod headers. Then restart apache: service apache2 restart (for Ubuntu systems). In order for the maximum upload size to be configurable, the .htaccess file in the ownCloud folder needs to be made writable by the server. Open your web browser and navigate to your ownCloud instance. If you are installing ownCloud on the same machine as you will access the install wizard from, the url will be: http://localhost/ (or http://localhost/owncloud). For basic installs we recommend SQLite as it is easy to setup (ownCloud will do it for you). For larger installs you should use MySQL or PostgreSQL. Click on the Advanced options to show the configuration options. You may enter admin credentials and let ownCloud create its own database user, or enter a preconfigured user. If you are not using apache as the webserver, please set the data directory to a location outside of the document root. See the advanced install settings. Using any html 5 supported browser can access server, serve the purpose. Using Desktop Sync Clients user can install client tool, which are available for Windows, Mac OS X and a wide range of Linux distributions. 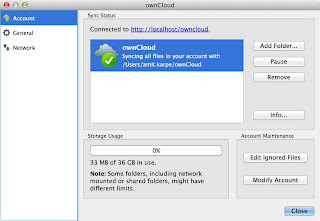 This will help user to Sync your local files with your ownCloud. Access you ownCloud anytime, anywhere using your portable devices. Official apps are available on App Store for iPhone & iPad and Google Play for Android device. These apps are not free, but its worth, if you really worry about your data on Mobile. Now you can just drag & drop files on your cloud server for backup. Also you can select files or folders to automatic syncing. i.e. If you just add, remove, update any files, this will synchronize with your backup files, hosted on you cloud storage. So I hope you will never loose your photos or you will never experience "Not Enough Memory" kind of error on Mobile, while taking snaps on outdoor trip :) Keep playing around this Cloud, please do share me your experiences. And if you have any other application/ software similar to this, please share information about that. If you have any question please ask me, I would like to see adoption of more & more Open Source Cloud based application on Mobile as well as Desktop. It was originally intended for Xbox, that why XBMC stand for “XBox Media Center”. But its no more true, it works now on Mac, Linux, Windows and even on Android and iOS. Reader can check current stable release: 12.2 “Frodo”. Mainly I can see so many things happening in this domain called “home theater PC (HTPC)”. I can see that XBMC is best solution. There so many useful repositories and add-ons which will just match with anything. By default you can have add-ons like YouTube, Vimeo, Wired, Time, TED, TechCrunsh, Metacafe, Khan Academy, etc. But with Unofficial add-on repositories, anyone can experience avalanche of entertainment ! You can access & enjoy variety of media ranging from TV Serials, Latest Movies, Documentary, movie trailer, Music, and many more. XBMC kind of media center is mainly design and develop “ 10-foot user interface” in mind. Reader may not feel comfortable first time to use XBMC on PC or Laptop. It was for TV screen in Living room, where user should watch it from 10 foot, controlling using remote control. XBMC works with Keyboard, mouse, touch device and it has support for various type of remote controls. But I found interesting Smart Phone Remote i.e. Android & iPhone apps which can use smart mobile phone as remote control for XBMC. To use Smart Phone Remote, install apps on your mobile phone and configure name of instance, xbmc system ip address, port, username and password. You use default settings. Now make sure that XBMC is ready to use remote control. Start XBMC System -> Settings -> Services -> Remote Control and Enable it. Now you can use smart phone to control your xbmc. This is such wonderful piece of software that I encourage you to donate fund, amount can be anything ! If not then at least spread the information about this software, which will save your families hundreds of dollar per years. Window snapping is a user-friendly tool that allows multiple windows to be displayed without overlapping or having to click-and-drag. The new animation included in Ubuntu 13.04 includes a changed appearance of the window when it is about to snap, showing a transparent, orange copy of the original window in its new potential location. This makes the time-saving organizational tool even more effective and efficient. The Unity Dash, allowing users to aggregate alike programs, received an overhaul that includes a Photos lens and a Social lens. 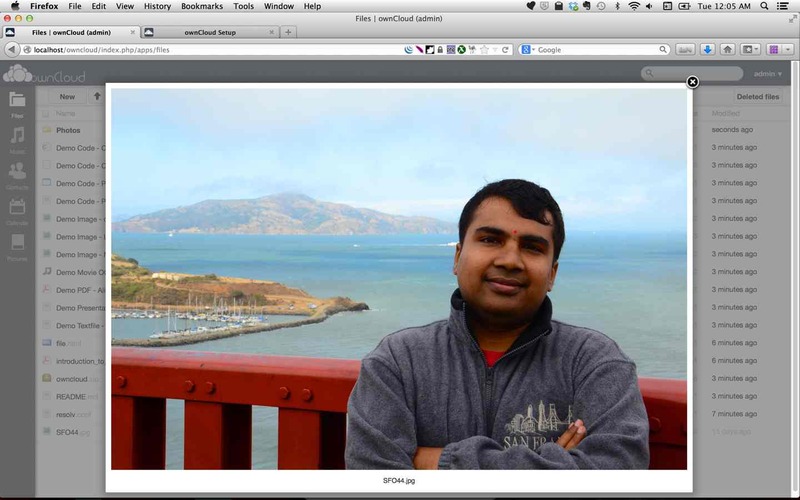 The Photos lens can search through images in online accounts or imported directly onto the computer, greatly simplifying the process of tracking down photos. The Social lens allows users to connect to Twitter, Facebook, LinkedIn, and other platforms directly from the dashboard. Ubuntu’s past editions have been decried as slow and resource-hungry, and there was certainly some truth to those claims. However, last October programmers decided to tweak Ubuntu’s core by using a mobile device (specifically, Google’s Nexus 7 tablet) as a reference point. This allowed them to address CPU, RAM, and power usage issues that had plagued Ubuntu in the past. The result? A smooth and snappy experience, with lightning fast startup and shutdown speeds, that makes Ubuntu 13.04 one of the fastest platforms on the market. Ubuntu 13.04 utilizes LibreOffice 4.0 for its office suite, and includes Firefox 20 for web browsing and Thunderbird 17 for email. For those interested in other applications – Chrome and Evolution, for example – these apps are available using the Ubuntu Software Center. There have been some reported issues installing Chrome on 13.04; this glitch is expected to be fixed with the next Chrome update. Also, a major complaint about Linux in the past has been the lack of available games. Ubuntu has partnered with Steam to produce games for the platform, and the number of available games has skyrocketed. The Unity desktop environment, prone to bugs and crashes in the past, received a pretty comprehensive overhaul from the Canonical developers. As a consequence, the software is much more stable and is no longer plagued by “paper cut” bugs. So… Is it Worth It? The release, while not heavy on new features, positions Ubuntu nicely for future release on smartphones, tablets, and TVs. For fans of the Linux platform, the upgrade to Ubuntu 13.04 is definitely worth it. With improved speed and polished features, Ubuntu 13.04 is by far the best platform yet. And for those who haven’t yet switched to Ubuntu system, this latest release proves itself to be the most compelling reason to date. On June 19, 2013 Cubie Board 2, based on Allwinner A20 was announced. So we have Cubieboard2 with 1G ethernet, 2G RAM, VGA and onboard RTC. Good news is that now we have dual core CPU and double GPU performance and no major change in board layout as A20 chip is pin-to-pin compatible with A10. Cubie Board 2 support Android 4.2 Jelly Bean, Ubuntu 12.04 and other Linux distributions. 2. 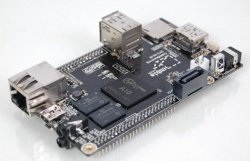 Cubieboard is useful to do various R&D in ARM based Embedded or Mobile hardware. You can do experiment to learn embedded or mobile operating system as well as hardware aspects. CPU: Cortex-A8 1GHz (ARM v7) Processor which have both VFPv3 and NEON co-processors: It's a 400-pins. It has highest known cost to performance ratio. MALI400MP GPU supports OpenGL ES 2.0 and upto 2160p Hardware-accelerated Video playback (4x the resolution of 1080p). It has 1gb DDR3 (800mhz) RAM. It has builtin 4GB nand storage which comes with Android 4.0.4 preinstalled. A10 search for boot block on sdcard and it can be booted from usb as well with some key combinations. That is why it can not be bricked. SATA-II 3gb/sec which supports small 2.5” sata hdd. 5. On Cubie Board we can install Ubuntu, Angstrom, Android, Fedora, many other operating systems on sd card as well as on nand memory. 6. By using Berryboot uses can install following operating systems. 8. Cubie Board have in built NAND as well as SD/MMC card slot. 9. Cubie Board have 2 usb ports. One of them is USB On-The-Go port, which can use to connect additional USB devices or USB HUB. 10. Cubie Board have two stereo 3.5mm jacks for audio in/out. 11. Cubie Board have an RS-232 serial pins, which can be used to get serial logs and login. 12. 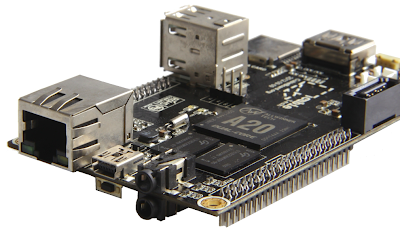 Cubieboard2 A20 SoC which contains dual-core 1GHz CortexA-7 cpu and dual-core mali-400MP2 gpu. You can buy cubieboard from the international shipping shops or the local shops in your country. As I have tested board from Miniand and AliExpress, I can recomend them. Which ship board and its accessories within working 3 days if you pay little extra (10-15 USD) by DHL or any other available service. Cubie Board have very active community. So for support you can rely on this community. Also you can follow twitter & facebook for latest news, update of Cubie Board community. 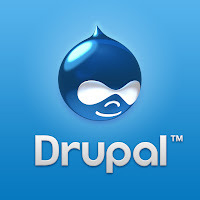 Drupal is a free, open source content management system (CMS). While there are many praiseworthy aspects of Drupal, usability probably isn’t one of them. Drupal gets a lot of love, especially from the developer community, but for non-developers, Drupal’s layout can be a barrier to its use. Fortunately, there are ways to improve that. Check out these five tips for improving Drupal’s usability. While perhaps not a problem for you, multiple select boxes are confusing for many users. Using ctrl+click to select multiple items is not something that most users know about, so they tend to become irritated when they encounter these things. Sure, you could include instructions on the page, but why not take the most usable option and eliminate the problem altogether? Instead of using a select box, switch to a checkbox option, which most people will understand immediately. Although these select boxes are part of the program, you can install modules like Views Checkboxes or Better Select in order to get rid of all the select box defaults. Drupal has a ton of features, but you probably don’t need all of them. Disabling features you’re not using or that your user doesn’t need will improve your site’s usability. The full might of Drupal’s out-of-the-box features can be overwhelming for site visitors, so hiding some features can make the site easier for them. For example, items such as node metadata like author information don’t need to be in search results because it is confusing for newbies. If users log in to your site for any reason, it can be beneficial to remove some of the tabs or modify forms to simplify them. The “What you see is what you get (WYSIWYG)” editor can be convenient, but only if it does what you really want it to do. Before calling it a day on your Drupal setup, test that the editor actually achieves what you expect it to. If the results don’t look the way you intended, you can install an alternative WYSIWYG editor that formats text correctly. This is an aspect of content management that should be completely painless. There are various editing modules available for Drupal like CKeditor, which you can use with IMCE to manage files. This module also lets users define classes for advanced styling. It’s bad enough to make a mistake on a site, but when the error message doesn’t make sense to the user, things get even worse. Error messages should be free of jargon and explain how to avoid the problem. Drupal’s default error messages are not particularly user friendly, so changing them can make a big difference for your site’s usability. Two modules that can help with this problem are Inline Form Errors and String Overrides. The first repositions error messages so they are next to the field that produced the error. The second substitutes jargon with user-friendly language by replacing strings of developer Jargon with strings of normal English. Although Drupal’s out-of-the-box features are many, they aren’t always the ideal option for users. Fortunately, the nature of Drupal—open source, of course—makes it possible to change anything that isn’t working for you or your site’s visitors. Sara Collins is a writer for NerdWallet. She works to help readers stay informed about every topic, from graphic design to comparing term life insurance versus whole life insurance.